Here's instant access to the symptoms, signs, differential diagnosis, and treatment for the full range of liver disorders. 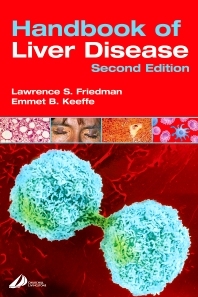 Written by an international 'who's who' of hepatology—and now in full color—this new 2nd Edition provides readers with top-notch, authoritative guidance they can count on! Discusses the hottest topics in the field, such as non-alcoholic steatohepatitis (NASH) and the latest information on liver transplantation. Includes expanded coverage of chronic hepatitis C, most notably the use of combination therapy with peginterferon and ribavirin and improvements in the management of the side effects of antiviral therapy. Offers the most recent therapeutic options for the management of chronic hepatitis B and advances in the understanding of the molecular biology of this virus. Updates the approach to the diagnosis of many liver diseases due to newer tests based on molecular techniques and advances in imaging. Features over 340 full-color illustrations. Uses a redesigned templated, outline format that makes reference a snap.